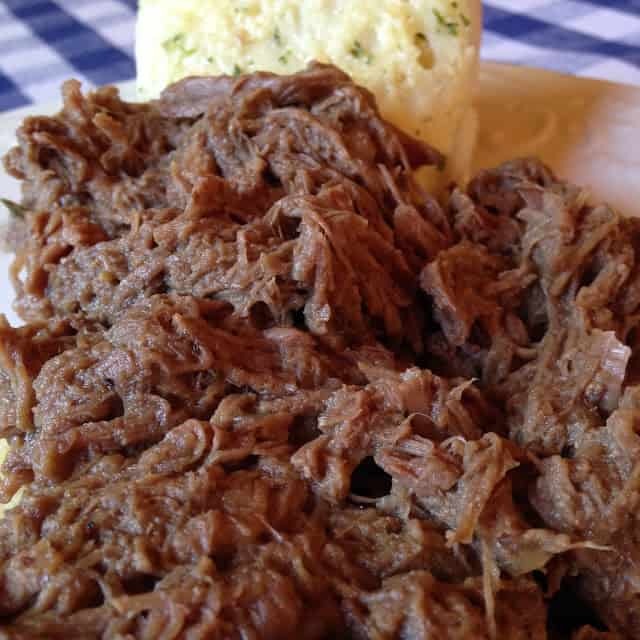 Hot Beef Sandwiches have been a mainstay in my family for many years. 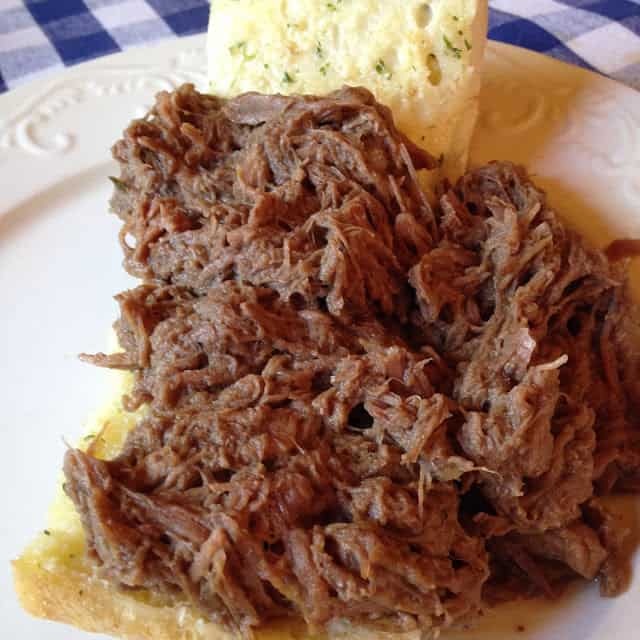 Over the years my hubby and I prefer to eat our hot beef on garlic bread as an open-faced sandwich. 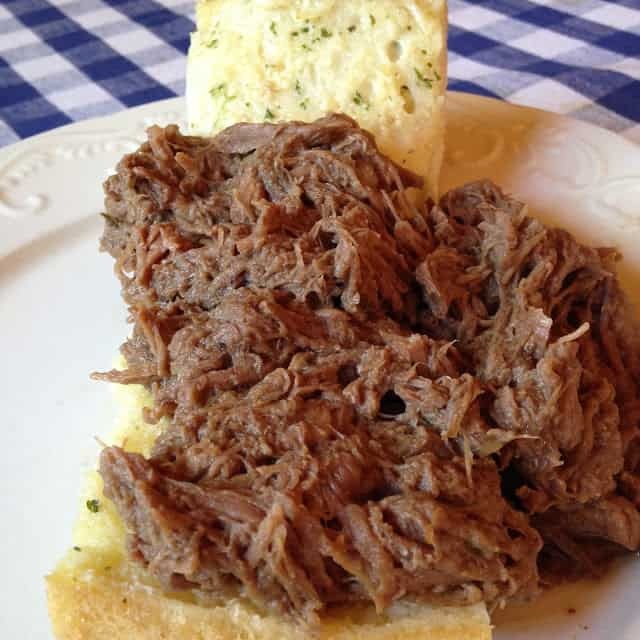 Simply make this recipe for hot beef. 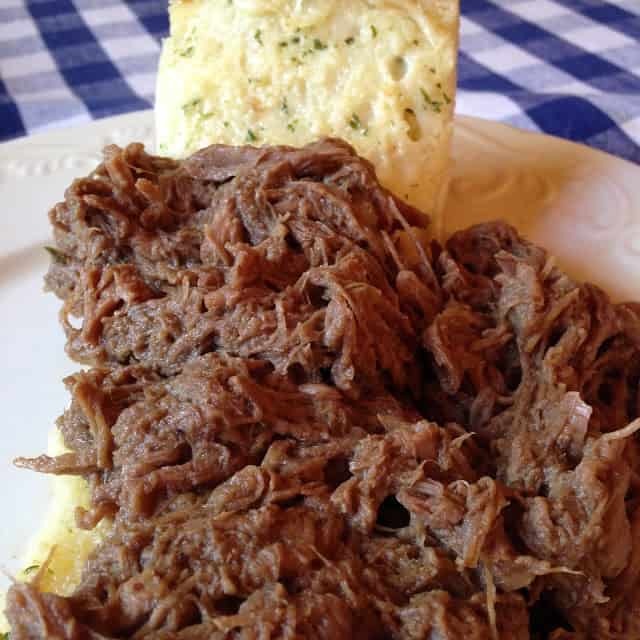 When the beef is almost ready, prepare your garlic bread. Make homemade garlic bread using one of these recipes Garlic Bread or Cheese Mushroom Garlic Bread. You can purchase frozen garlic bread, which works great. Coles Garlic Bread. Return meat back to pan and pan juices. Place pan on stove top and heat on medium to medium-high heat. Let mixture boil gently until liquid is reduced by half, stirring constantly. Allow to cool. Refrigerate overnight. Before re-heating, skim off fat that has settled on top. You can re-heat beef in a saucepan on the stove top or place beef in a crock-pot and cook on low until hot. Serve with Garlic Bread or Crusty Rolls. I just love a Hot beef Sandwich, this looks so good. Hope you are having a fantastic weekend and thank you so much for sharing with Full Plate Thursday!